The dead will rise and the vines will writhe come spring 2013, when Popcap Games finally gets around to releasing a sequel to the popular lawn defense game Plants. Vs. Zombies. It's about damn time. Other than the fact that the sequel will bring new features, situations and settings to the missions of champions of plant life that played the hell out of the original game (hi), no further details were given regarding platform, pricing or even a proper name. The official announcement was just stopping by to let you know that there is a sequel coming, possibly in response to folks like me that bitched about the lack of a true sequel earlier this month when Popcap announced a virtual zombie pet. 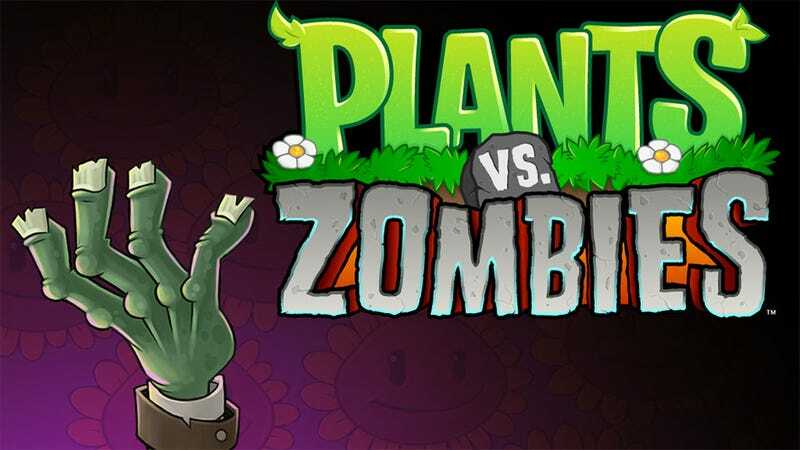 What does seem clear is that this game is a direct sequel, which could be interpreted to mean that it will feature the same sort of game play as the original Plants Vs. Zombies, making it a completely different animal than the rumored console action game based on the franchise. And hey, the release did come with an official statement. "Spring is crullest curlie ungood time, and plantz grow dull roots," noted an unidentified spokesperson. "So, we are meating you for brainz at yore house. No worry to skedule schedlue plan… we're freee anytime. We'll find you."